I cannot remember eating Swedish Fish before I married into my husband's family, but I now love them (especially the red). The boys of course love them too. These are a really cute way to have a Valentine's Day bag that is a little different. 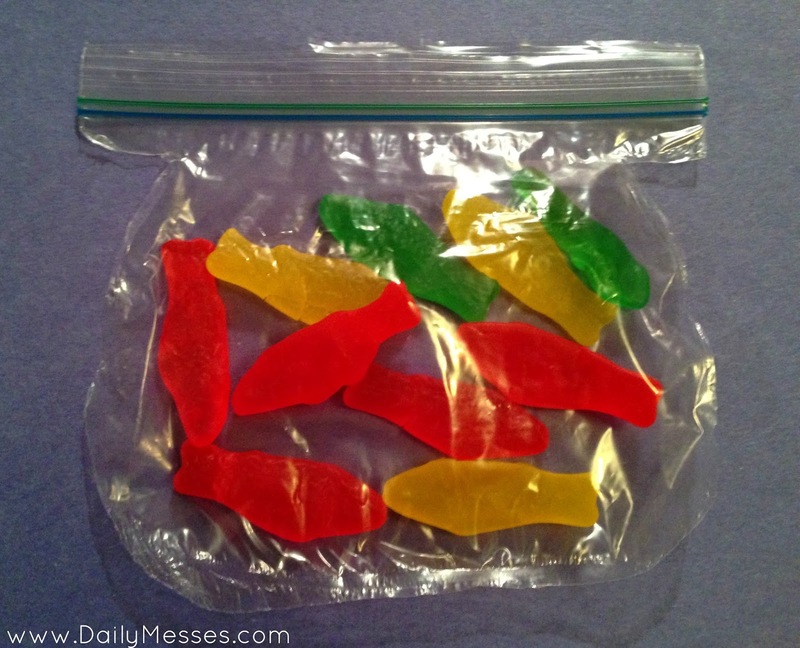 At one time I remember seeing bags in a fish bowl shape, but I can't find them now. If you have the patience, you can make your own fishbowl shaped bags! Swedish Fish (they come in red or multi-colored). You can also find generic versions in the candy aisle of the grocery store. Goldfish would work really well too. 1. Cut out a fishbowl shape on the cardstock. I have a stencil below. 2. Preheat iron to a low setting. 3. Place a piece of parchment paper down, then the sandwich bag, then template (make sure zipper part of bag is at the top of the fishbowl), and then another piece of parchment paper. 4. Iron around the edge of the cardstock template. 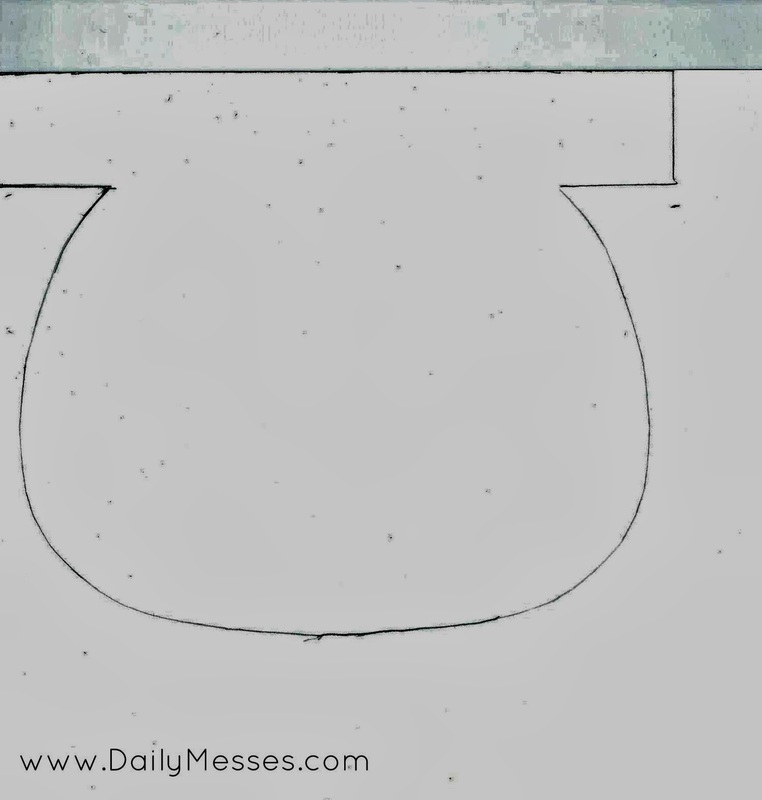 Make sure to keep the iron moving around the edge of the template. The heat is to seal the plastic together. 5. Trim around just outside of where the template ends to form the bag bowl shape. Make sure you don't trim too close though! If you do, just stick under parchment paper and melt the edges with the iron. 6. Fill with fish! Attach a message with something along the lines of being in the same "school". 7. Optional, draw blue lines on the bag before filling to make it look more like a fish bowl with water.